In August of 2017 six young swimmers set out on a 69km journey up the length of Lake Geneva. They carried with them the bones of the people of West Papua and voice of a nation in waiting. Banned by the Government of Indonesia, the petition demanded an internationally supervised vote and the Human Right to Self-Determination. Smuggled between highland villages,1.8 million (over 70% of the population) West Papuan’s signed the People’s Petition in the largest show of support for a referendum since the early 1960s. The petition was later presented to the United Nations. Swim for West Papua was the Free West Papua campaign’s 2017 grass roots movement to secure a free and fair independence referendum for the West Papuan people who have been the victims of gross human rights violation and slow-motion genocide which began in the 1960s. 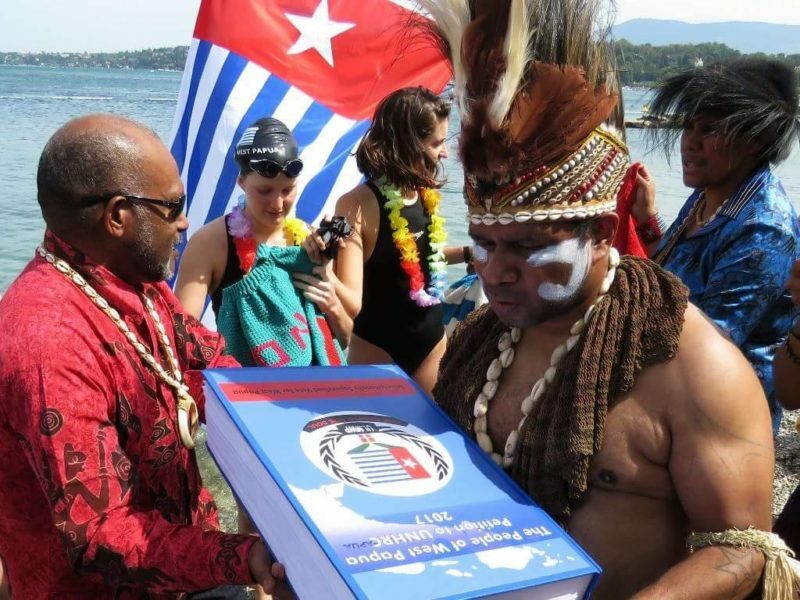 This ‘people-power’ petition directly compliments the higher diplomatic efforts of the United Liberation Movement for West Papua (ULMWP) and International Parliamentarians for West Papua (IPWP). We extend our deepest gratitude to the Swim for West Papua team for their tireless hours of training, dedication, and inspiration to countless people around the world. To have accomplished something so unprecedented, for the people of West Papua who have been isolated over 56 years, is truly remarkable. May all that you have given be returned to you in full measure. We also thank the hundreds of thousands of supporters on every continent around the world who took the time to include their names alongside the brave 1.8 million West Papuans who in solidarity appealed to the United Nations to #LetWestPapuaVote. Each signature on the petition is a small testament to how big our voices can be when presented as one. 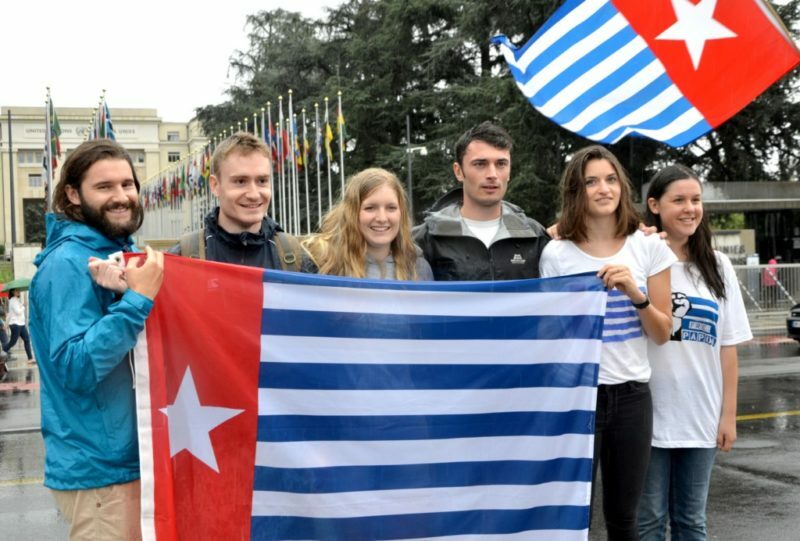 Lastly, to the people of West Papua, you are our daily inspiration and the reason why our campaign teams around the world dedicate their hearts and time to stand by you on your road to freedom. Our global work together to ensure every Melanesian’s right to attain self-determination and #FreeWestPapua marches on.